Get reluctant readers going with ‘Go’ – taut, snappy teen reads which don’t patronise. From the award-winning Barrington Stoke book list for dyslexic and lower-ability readers, these are the perfect choice for readers who may struggle with text, but aren’t willing to compromise on quality or pace. 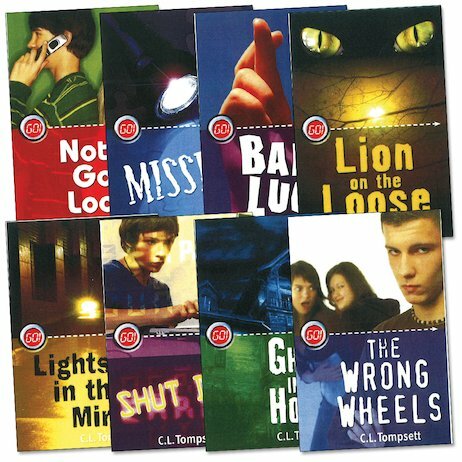 With exciting, instantly accessible themes that any teen can relate to, these are chock-a-block with stories which suit 10-14 year olds, but have a reading age of just six. High-quality artwork also supports readers by providing picture clues. So if you’ve got readers who need that extra bit of help, get them moving towards success!